The financial strain that this proposal puts on students is immense. A large amount of students who go to UMKC already rely on scholarships with many having to take out thousands of dollars in loans on top of those inadequate scholarships. UMKC students are forced to work long hours at local businesses, rely on their family, and sacrifice study time to pay for rising tuition costs. Nevertheless, we have won a concrete victory last night in regards to the proposed tuition hike on behalf of working class and oppressed nationality students. Last night at the University of Missouri-Kansas-City town hall meeting about the recent proposal to increase tuition we mustered up our forces. What we found was the scheduled town hall was to be held in a pathetically small room in the Administration building that could have fit no more than 30 people, our organization composed more than half of those in attendance nevertheless. We voiced our opposition in many ways, which the administration and College of Arts and Sciences student council was ill-prepared for. First and foremost we were there to stand up for the working class and oppressed nationality student body of UMKC. The College of Arts and Sciences is the largest college in UMKC and the proposal would increase tuition by nearly $1,000 per semester for over 9,000 students, close to 60% of students. Many of whom already have to take out thousands in subsidized and unsubsidized loans. When asked about this issue the President of the Student Council for the College of Arts and Sciences said “There have not. Umm, I think we are basing it on the current tuition model and the, the, need based scholarships and what not.” This is not a response and is indicative of how little research and time went into putting this proposal together. To add further insult to injury a position that was supposed to filled by a graduate student to promote diversity on campus was sacked after it was stated that “racism doesn’t exist at UMKC”. This in a city that is 1/3 Black, and in a University that sits on the Troost Avenue line separating Black and White Kansas City, but that has only 12% Black students enrolled. Already in the state of Missouri undocumented students are being denied in-state tuition for Missouri Universities and college campuses through legal manipulation in the appropriations education bill HB 2003. To say no racism exists when such racist “coincidences” are occurring is nothing short of a joke. When pressed further about the impact this proposal would have on low income communities and especially students of color. Associate Dean Kruger said “We expect this to be an additional burden to all students, there’s not doubt, but this is for you to decide.” This only reinforces our fact based arguments about the negative impact this proposal would have on working class and poor students. Floundered and flabbergasted that they have received such poignant resistance to this hike the administration and CSA student council postponed the proposal indefinitely. There are a few lessons and successes we learned from this town hall. First, UMKC students have shown that they are not going to submit to an administration that wants to increase the burden of paying for college. This is important as our resolve must be stronger than our opponents if we are to lead and participate protracted struggles that cannot be won overnight. Until the fulfillment of our platform is met we are at constant threat and at the mercy of the ruling class to strangle us by the neck as they continue to profit off of our desire and right to higher education. Until we win not only free tuition but an open university we will continue to struggle. Second, Our collective opposition to the proposal has forced the deadline back INDEFINITELY. 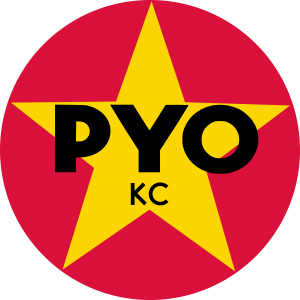 This in real terms is the most substantial victory that PYO-KC has had in it’s existence, one that only seeks to solidify our resolve to advance the struggle. It is also a confirmation that our method of combining political-ideological theory with practice and not mere activism has raised the qualitative and quantitative abilities of our organization. In order to serve the people and to take up their struggles it is imperative that we are able to show some material benefits to taking up struggle. We wholeheartedly embrace our slogan “Dare to Struggle, Dare to Win” and the dreams of a better world and constructing it as the motivation for organizing young people. Third, the student population of UMKC is becoming more aware of the power that collective action holds in relation to fighting for our rights. It is clear that administration officials were not capable of dealing with this as it has not been a problem to them before. However, just as we are able to learn, so can they. Last night was a resounding success, but the fight does not stop here. Next week there is going to be another town hall that will be open to anyone coming its is to be scheduled on Thursday September 22 . We need as many people there as possible to really hit home our opposition and kill this proposal once and for all. We will be sending out more information on the event before hand so keep a look out! We urge all students to share this statement, to tell their friends and fellow students that we must fight this hike! Next Post We Will Not Vote! It Is Right To Rebel!